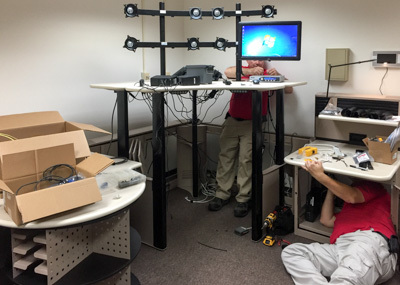 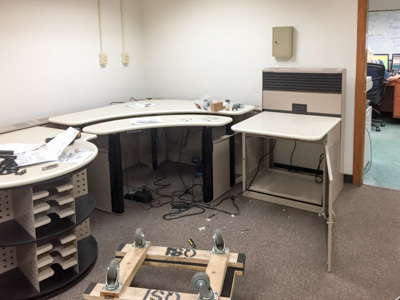 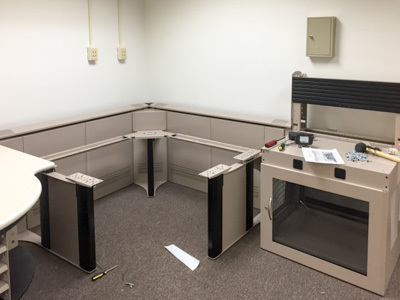 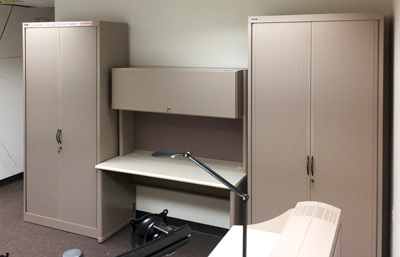 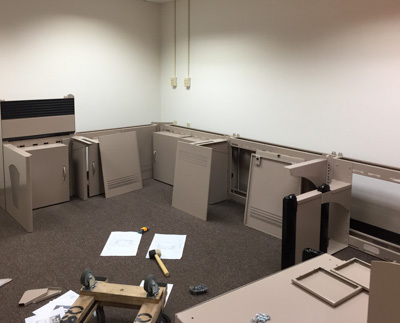 The work area for dispatchers at Brundidge Police Department underwent a remodeling project in early 2017. 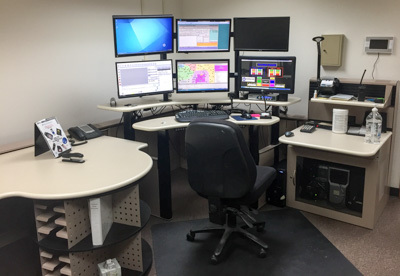 New equipment was installed as well as new furniture that allows the dispatcher to work seated or standing. 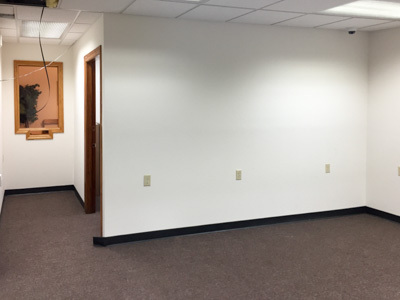 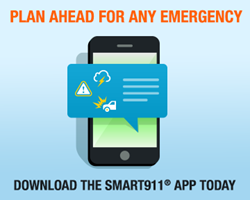 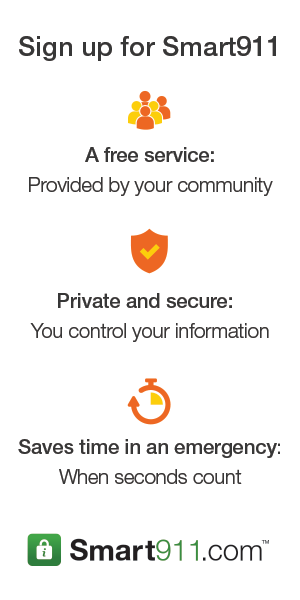 A primary improvement was blocking the public's direct view of the dispatcher from the lobby which increases security and safety for dispatch staff.